It’s no wonder more and more property hunters are turning their attention to Battersea. Just across the river from the uber fashionable King’s Road and Sloane Square, the once industrial area covering the SW8 and SW11 postcodes in the London borough of Wandsworth is home to just over 100,000 residents, who benefit from the local authority’s low council tax charges. Many newcomers to the area who seek advice from Battersea estate agentsare young professionals attracted by the large number of new-build apartments. Of the properties on offer at Eden Harper, many have views over the iconic Battersea Power Station or the open, green space of Battersea Park and cost considerably less than comparable properties in upmarket Chelsea, just 1.4 miles away on the other side of Chelsea Bridge. When it comes to offering a choice of properties, Battersea has something for everyone. Award-winning factory conversions sit alongside new riverside developments and grand Victorian houses, as well as impressive period mansion blocks and a selection of ever more popular ex-local authority flats. 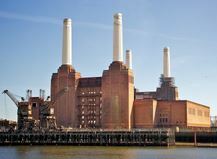 Click here for more information on the history of housing in Battersea. Road links are also good, with Battersea Bridge providing a route to Fulham, Chelsea and the West End. The north eastern corner of Battersea is one mile due south of the Palace of Westminster; the north western corner is demarcated by Wandsworth Bridge and Battersea tapers south to a point roughly three miles from the north eastern corner and two miles from the north west. To the east is Lambeth; Camberwell and Brixton lie to the south, on the south-east is Clapham and the Wandsworth area is to the west. Already popular with families and young professionals, Battersea is set to become one of the most sought-after places to live in the capital when an extension to the Northern Line, due to be completed in 2020, will connect those buying the many apartments being developed in the area to the London Tube network.Transport links are one of Battersea’s major attractions. The area, which is in Zone 2, is served by two overground stations – Battersea Park and Queenstown Road – that offer access to Victoria Stations in 8 minutes and Waterloo Station in 12 minutes. Worth noting, too, is that Clapham Junction Station, to the south-west is one of the busiest stations in Europe. Local bus routes include the 44 (to Victoria), the 137 (to Oxford Circus), the 156 (to Wimbledon), the 319 (to Sloane Square), the 344 (to Liverpool Street) and the 452 (to Kensal Rise). There are also two night buses – the N44 from Aldwych and the N137 from Oxford Circus. For families wishing to settle in the area, Battersea offers a good range of local schools, including the ‘Outstanding’ Ofsted rated Chesterton Primary School, Falconbrook Primary and Christchurch Primary. For secondary schools, there is the recently opened mixed Catholic school, St John Bosco College and Battersea Park School. And in September 2012, a City Academy opened in the old Bolingbroke Hospital building. For independent schools, Newton Prep School in Nine Elms is often referred to as South London’s leading Prep School, while another option is Thomas’s School on Battersea High Street near Battersea Square. A dog’s life is a walk in the park - Apart from a relatively low crime rate and a wide range of properties just minutes from Waterloo and Victoria stations, what else does Battersea offer? 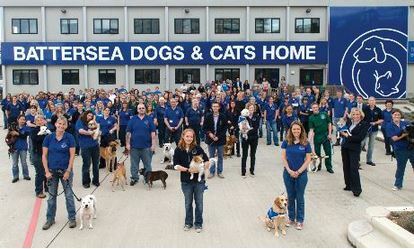 Well, Battersea Dogs & Cats Home has been part of this lively south London suburb since 1871 – 58 years before work started on Battersea’s other well-known landmark, the power station. Battersea Dogs & Cats Home(the charity added Cats to its name in 2002) remains an integral part of this part of south-west London, while development of the power station is now well underway. Over the next 5-6 years one of the most ambitious redevelopment schemes in modern times will see the whole stretch of the Thames South Bank between Chelsea Bridge and Vauxhall Bridge transformed. It will incorporate the newly situated American Embassy (from 2017) as well as the Dutch Embassy, while the Chinese Embassy is also considering a move south of the Thames. The grade II listed power station, which is the largest brick building in Europe and is notable for its Art Deco interior fittings, is to become a shopping centre with additional arts spaces. This will include 115 stores and restaurants, as well as a 9,144 m2 fashion hub. It is being completed in several phases, with the power station being the second stage. Plans for the initial phase, known as Circus West, include 250 retail stores, which will be completed by 2016. Within the third section of the project, plans for which have been put forward by the Malaysian-based business consortium that bought the site for £400m in 2012, are a total of further 50 stores and restaurants. These are planned to open in 2020. But Battersea is not just a retail hub. It has wide expanse of open space, including Battersea Park, which many consider to be the most interesting of all the London parks. The park has a fascinating history, leading from a duel in the marshlands before the green space was built, through to the Fun Fair and Gardens of the Festival of Britain in the 1950s. And did you know that the first asparagus grown in Britain was produced in Battersea Park in 1850? 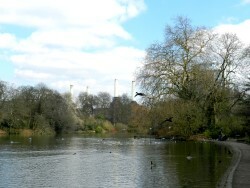 Not only that, Battersea Park hosted the first football match played under the rules of the recently formed Football Association on 9 January 1864 when celebrated footballer and sports journalist Charles William Alcock scored both goals as the FA President’s XIV beat the FA Secretary’s XIV 2-0. To celebrate the 150th anniversary of the match historic match that, yes, did involve two sides of 14 players, a special plaque was unveiled in the park on 9 January 2014. Today, the inner-city park contains a wealth of hidden secrets and activities. The most obvious wildlife in the park are the birds living on or around the lake, but not so often noticed are the many varieties of trees. Other highlights to be found in Battersea Park are the children’s zoo, rowing lake and pleasure garden as well as the famous Peace Pagoda. For those looking for something more energetic there’s an eight-lane running track, 19 floodlit tennis courts and fitness centre featuring an aerobics studio and sauna. Nearby Clapham Common and Wandsworth Common are also great places for adults and children to let off steam and get some fresh air. 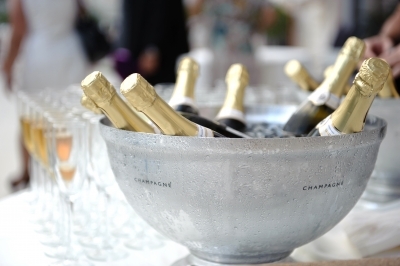 But for residents in Battersea looking for entertainment close to their doorstep, the area has a wealth of bars, cafes and restaurants, including The Magic Garden, which has been voted by Elle magazine as one of London’s best pub gardens. Other annual attractions include the Battersea Beer Festival and theAffordable Art Fair, which has been held in Battersea Park since 2001. This year, 112 galleries from all over the UK and abroad brought their choicest selections for locals and visitors to browse, buy, and enjoy. All the art exhibited is for sale and is priced from £100 to £5000, with paintings, original artist-made prints, sculpture and photography all on show. Whether you are looking for artwork that is traditional or contemporary, humorous or edgy, by a famous name or an undiscovered talent, there is something for everyone! When it comes to performing arts, Battersea Arts Centre on Lavender Hill was founded in 1980 in a Grade II* listed building that originally opened in 1893 as Battersea Town Hall. The space was converted to a community arts centre in 1974 and is due to undergo extensive refurbishment in 2015. This move will ensure the venue’s rich history will continue. As an example of that history, in 1901 a large pipe organ was installed in the Grand Hall. This was an unusual instrument designed by Robert Hope-Jones, a pioneering organ builder who invented many aspects of the modern pipe organ. His ideas went on to form the basis of the Wurlitzer theatre organ in the 1920s and 30s. There can be no doubt that the former industrial area of London now offers people living in Battersea a wide variety of accommodation, from the new-build apartments within view of the power station to terraced Victorian and Edwardian property and some larger detached villas, all offering good transport links to central London and a wealth of attractions and amenities on the doorstep.